The Page Name is used in Navigations and in the Title tag of your page. The Description is used by some blocks like the Page List block for navigations. The owner is generally not used a lot in concrete5 by default, and doesn't generally have any impact on permissions. Some of the add-ons make use of it for Authored by lines. 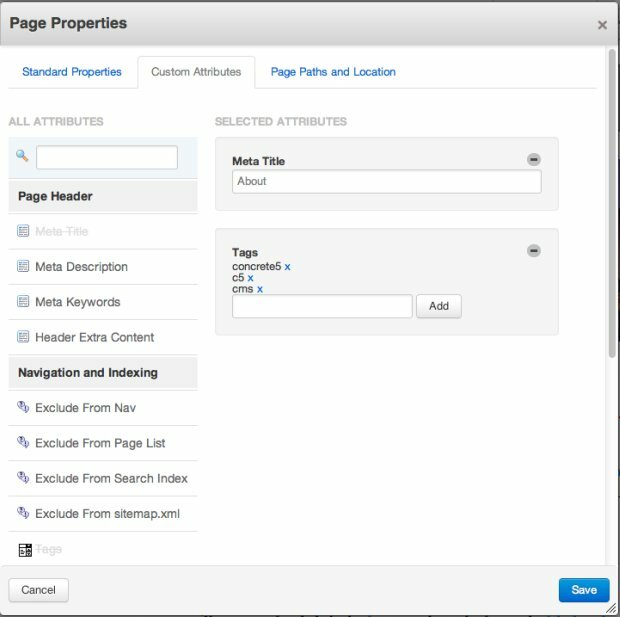 You can create Custom Attributes in concrete5 to handle meta-data across Pages, Users, Files, and if you're using our eCommerce add-on, Products. 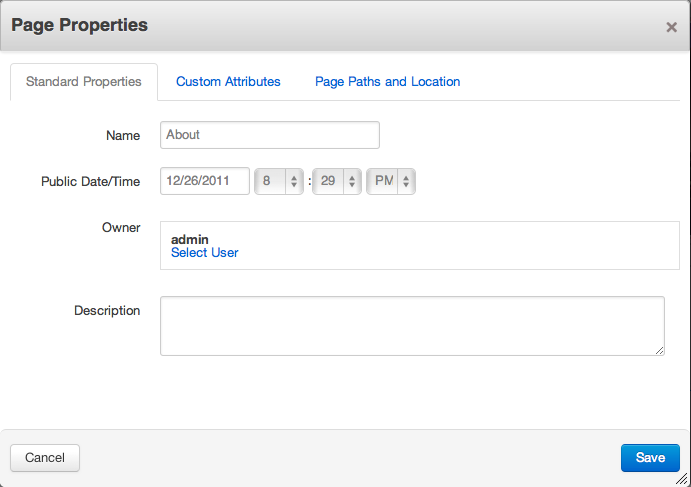 This tab shows all the Custom Attributes that have been assigned to this page by default. You can override the meta tags for most themes by adding the meta attributes here. Explore other handy custom attributes for functional needs like excluding a page from the Auto-Nav block as well. 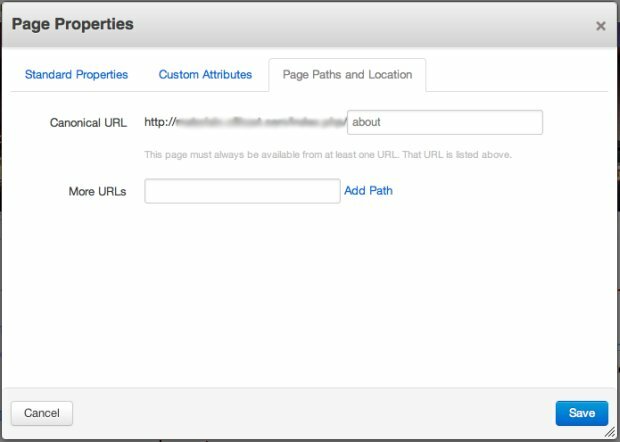 Page Paths and Location allows you to control what your page's URL looks like in your browser's address bar. Be sure to turn on Pretty URL's for this to work.